It’s that time of year again when we are all turning our central heating on for the first time. However, don’t be fooled into thinking noisy central heating is typical. There are several reasons you may have a noisy boiler or central heating system and spotting these things early will put your mind at ease. In the latest EGP Plumbers blog post, we take a look at some of the common reasons for your noisy central heating system. The most common noise coming from a central heating system is described is the sound of knocking or banging. Of course, such noises often sound much more threatening than they may be, especially if you aren’t sure of the cause. When air bubbles get trapped in the water inside your radiator, they tend to cause a clicking sound. Fortunately, when this happens, a simple solution can be sought. To stop the sound, you must release the air trapped inside the radiator and you can do this by using the radiator bleeding key. Simply turn your central heating off, then wait for the air bubbles to gather at the top of the radiator for around 10 minutes, before releasing them with the key. You may find you need to do this more than once over the course of a few hours to release all of the trapped air. Sometimes noisy central heating comes down to the simplest of issues. When the pipes in your home begin to heat up, they expand, which can cause them to move or warp slightly. Such movement in the pipes can mean that they begin to knock against a wall or piece of furniture placed in close proximity. Simply moving the piece of furniture slightly and placing expanding foam around the pipes should solve the issue. However, if your pipes have been run through wooden joists, this can be particularly inconvenient to remedy. Seek the services of a qualified plumber to expand the hole that the pipes run through, then fill it with expanding foam. Another much more serious, but less likely reason for your noisy central heating system is boiler kettling. 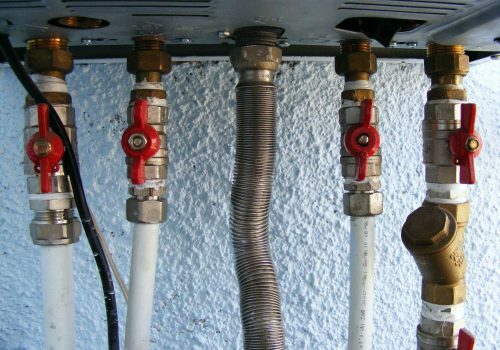 Occurring in hard water areas, boiler kettling is where limescale builds up in the heat exchange and restricts the flow of water, causing a build-up of pressure. As the pressure peaks, the water turns to steam but when the steam turns back into water, a rumbling or banging sound occurs. If you have noisy central heating and require the services of our friendly team, we welcome you to contact us. Please call EGP Plumbers today on 0116 264 5115 or fill out our online enquiry form and we’ll get back to you shortly. ← The importance of servicing your gas and oil boilers. Winter is coming!